The Margravine Wilhelmine of Bayreuth was Monarch, Director of the Opera, Philosopher, Writer and much more besides, yet it was music that lay especially close to her heart. Her most opulent work is the opera entitled ‘Argenore’, and she even composed a harpsichord concerto, only part of which still survives unfortunately. With its sense for harmony, the magnificent splendour of Bayreuth’s Friedrichstraße certainly bore the stamp of Wilhelmine’s influence upon margravial court architect Joseph St. Pierre. During the time of construction of today’s Steingraeber Haus, Joseph St. Pierre passed away, and Carl Philipp Christian von Gontard, his assistant who was to become even more renowned, completed the majestic building with an undoubted glimpse into a future style of architecture: Neoclassicism. From 1827 onwards Robert Schumann was absolutely besotted with the literature of Jean Paul; the writer lived opposite Steingraeber Haus. Jean Paul died in 1825 and so it was his widow who received the 18-year old Schumann in 1828. Again and again, he drew inspiration from Jean Paul’s works, which is particularly evident in his work ‘Papillons’. Anna Thekla Mozart, recipient of many discreet letters from her cousin Wolfgang Amadeus, also lived in Bayreuth, spending her twilight years from 1814 until 1841 at No. 15 Friedrichstraße. She was involved in an evidently stormy affair with Wolfgang Amadeus in 1777 and 1779. It is unquestionable that the most important piano virtuoso of the 19th century was Franz Liszt (1811-1886), who always gave dazzling performances using his technical abilities. Liszt alone had the courage to do something we take for granted today: In 1839, he gave the first public solo piano recital in Europe. 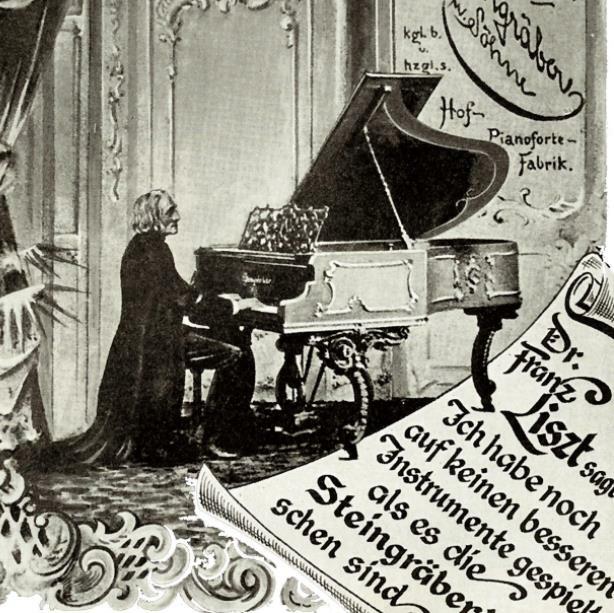 The connection between Franz Liszt and Eduard Steingraeber began in 1846, when the latter as a young man worked at the famous piano manufacturer Nannette Streicher in Vienna. Liszt contacted Steingraeber, who then became Liszt’s own concert technician. If Liszt’s grand piano developed a fault during a concert, it was Eduard Steingraeber who would have to fix the instrument in front of both Liszt and the audience in order to ensure the continuation of the concert. After Eduard Steingraeber passed his master craftsman’s examination in 1852, he founded the pianoforte manufacturer ‘Steingraeber’ in Bayreuth. It provided grand pianos for Liszt, who had great influence upon the special qualities related to both the construction and tonal richness of every Steingraeber & Söhne grand piano. It was surely Liszt who prompted Eduard and George Steingraeber to create new soundscapes, which still sound incredibly modern today. Many world-class pianists, such as Daniel Barenboim, appreciate the unique sound of a Steingraeber instrument. Today there are still traces of Liszt in Bayreuth, for example the Liszt Museum, a little mausoleum and, of course, Steingraeber Haus itself. 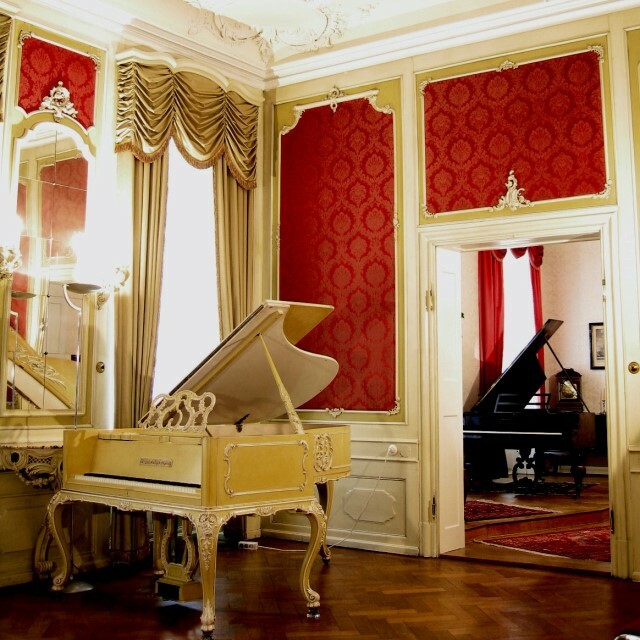 He would often play in the Rokokosaal (Rococo Room), where the original ‘Liszt grand piano’ dated 1873 still stands. There, he would play together with friends and colleagues, and would hold public recitals. Today, concerts are still played on the Liszt grand piano. In July 1886, the Steingraeber supplied Franz Liszt with a grand piano model 205 (known today as the C-212), production no. 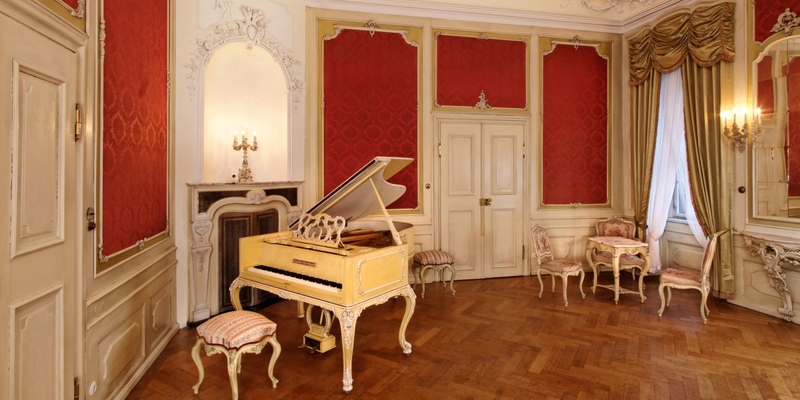 4328, Liszt’s last Steingraeber instrument, which you can also see in Steingraeber Haus. This instrument served as a template for the construction of current special grand piano model ‘C-212 Liszt’. Interesting fact: The stave you can see in the Steingraeber logo is taken from Franz Liszt’s ‘Bagatelle sans tonalité’ from 1885. 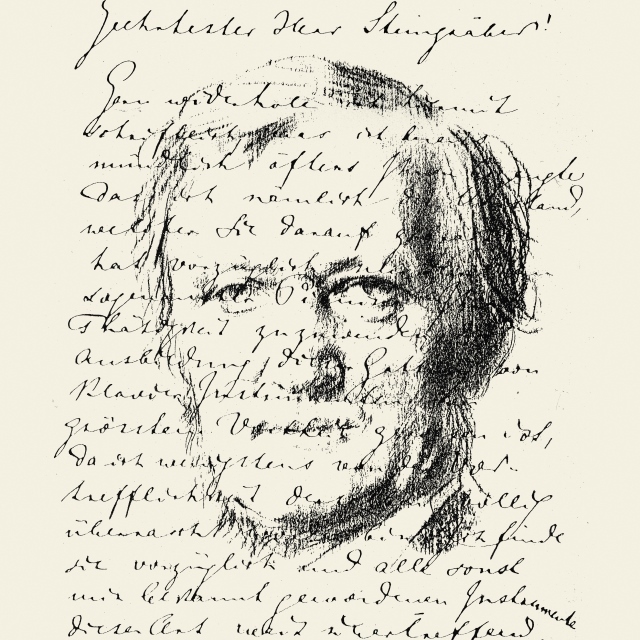 Steingraeber & Söhne donated the restored manuscript to the Weimar Classics Foundation. In his autobiography ‘Mein Leben’ (My Life), Wagner recalled his very first visit to Bayreuth in the summer of 1835, when traveling by stagecoach from Prague to Nuremberg. He must surely have visited the Baroque town centre back then, and in 1864 read ‘Siebenkäs’ by Jean Paul. Subsequently in late 1870, when looking for a place to house his life’s work (which however was under the jurisdiction of his patron, King Ludwig II of Bavaria) he chanced to read about Bayreuth’s Markgravial Opera House, famed for the size of its stage. Even though it proved to be unsuitable for Wagner’s plans, the decision in favour of Bayreuth was made upon his very first visit there with Cosima on 1 February 1871. One year later, sites for both the new Festspielhaus and the Villa Wahnfried had been chosen. As far back as spring 1879, Wagner asked Eduard Steingraeber if it would be possible to produce the four pitches of the ringing bells in ‘Parsifal’ (C, G, A, and E in the lower bass register) on a piano-like instrument with large hammers and wide keys. Steingraeber drew up plans for an instrument consisting of a tall, narrow case in the shape of a piano. At 220 centimetres, the extraordinarily long strings would be struck by four, 8cm-wide hammers, and the keys themselves would be 7cm wide. In August 1881, Wagner gave Steingraeber the contract to start manufacture. Come and visit Bayreuth – we look forward to it!